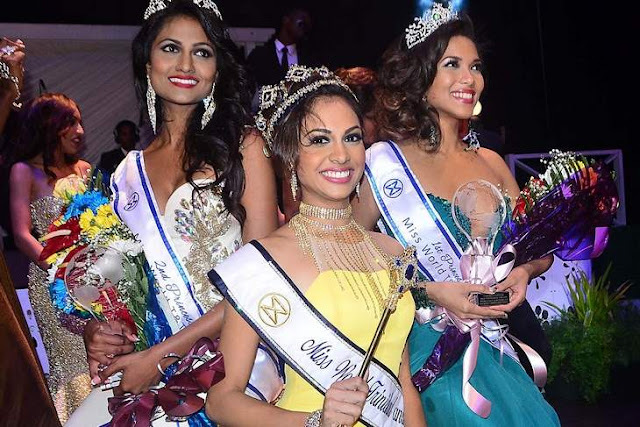 SAN FERNANDO, Trinidad and Tobago - Kimberly Farrah Singh (21) was crowned Miss World Trinidad and Tobago 2015 at the Southern Academy of the Performing Arts in San Fernando on July 25. She will represent Trinidad and Tobago in Miss World 2015 in Sanya, China on December 19. Daniella Walcott and Vinita Mano finished in second and third place, respectively.